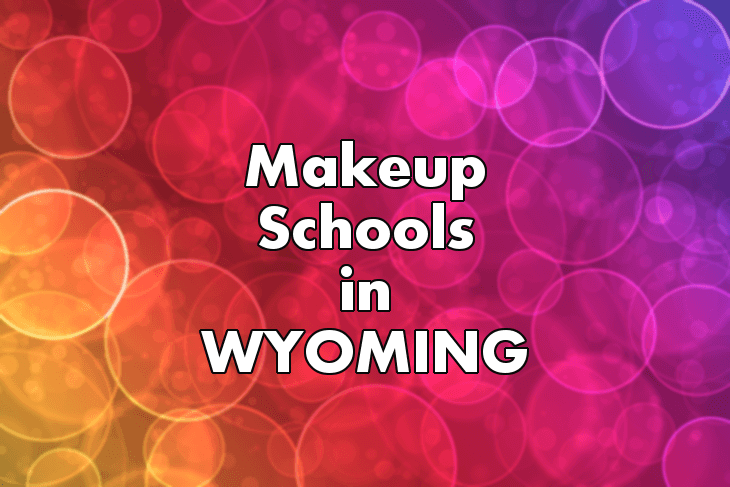 Many people in Wyoming aren't too sure where they can learn about makeup. For most other beauty professions, there are specific schools you can go to--cosmetologists have beauty schools, estheticians have esthetician schools, and manicurists have nail tech schools--but what about makeup artist schools? Here are training options for people who want to become makeup artistry professionals--and for folks who simply want to learn more about makeup and beauty. Makeup Artistry Training Schools. Believe it or not, there are, in fact, schools designated totally to makeup application and techniques. They can get pricey (usually $12,500 or more for a full-time, six-month program), but if you're 100% sure you want a career in makeup, it can be worth it: schools teach students how to use hundreds of techniques, how to put together a really impressive portfolio (and get new jobs using it), how to collect high-end products to put together a makeup kit, and how to run a freelance makeup business. Cosmetology Schools. These are the BEST way for people to enter the beauty business. Instead of teaching students about one topic--makeup--cosmetology schools and beauty schools teach a variety of subjects. Students learn how to cut, curl, straighten, color, and texturize hair; how to beautify skin using balms, lotions, and moisturizers; how to give professional pedicures and manicures; and how to apply makeup in a variety of styles. Classes are less pricey than makeup schools, and usually cost a couple thousand dollars to about $10,000. The most advantageous aspect of beauty schools is that after graduation, students are allowed to get a Wyoming state license, and find work in any Wyoming beauty salon. That's the true value of a cosmetology college--being able to find work in a salon, if your makeup artistry practice ever slows down a bit. Private Tutoring by a Makeup Artist. This is a great option for everyone, no matter what his or her career goals. Find someone in your area who practices makeup, and give a call to ask for private lessons. Many makeup artists--particularly bridal makeup artists--offer private lessons, because it's a great way for them to make some extra money. The most wonderful thing about private lessons is that unlike a school, you can ask to be taught exactly what you want to learn! Makeup Artistry Conventions. Another great option for career starters and enthusiasts alike. Every so often, a short-term makeup course will come to a metropolitan area such as Cheyenne or Casper. These can be a great way to pick up some skills, as the classes usually focus on a single topic (ie, how to do makeup for bridal events, or how to put together a makeup portfolio). These kinds of classes are usually advertised on sites like EventBrite, Yelp, and Meetup.com. Wyoming licenses most beauty careers. If you want to become a cosmetologist, you need to go to a cosmetology schools and get a cosmetology license; if you want to become a nail technician, you need to go to a nail tech school and get a nail tech license. If you are going to work in any kind of beauty establishment (like a Wyoming beauty salon, or a Wyoming day spa), you will need a beauty license--either a cosmetology license, an esthetician license, or a nail technician license. However, we looked on the Wyoming Board of Cosmetology homepage, and we could not find any mention of makeup artist licenses, and it seems that many freelance makeup artists (in other words, makeup artists who provide makeup services to others, but do so outside of a salon or spa) do not have any kind of beauty license. Is it legal for freelance makeup artists to provide makeup services without a license? Technically, probably not, but it seems like a lot of freelance makeup artists do so anyway. As makeup artistry grows more popular, it's very possible that the state of Wyoming will pay more attention to the profession, and require makeup artists to get licenses. If you have questions, we'd suggest contacting the Wyoming Board of Cosmetology at (307) 777-3534. They are the authority when it comes to beauty careers in Wyoming, and they can answer any questions you may have.